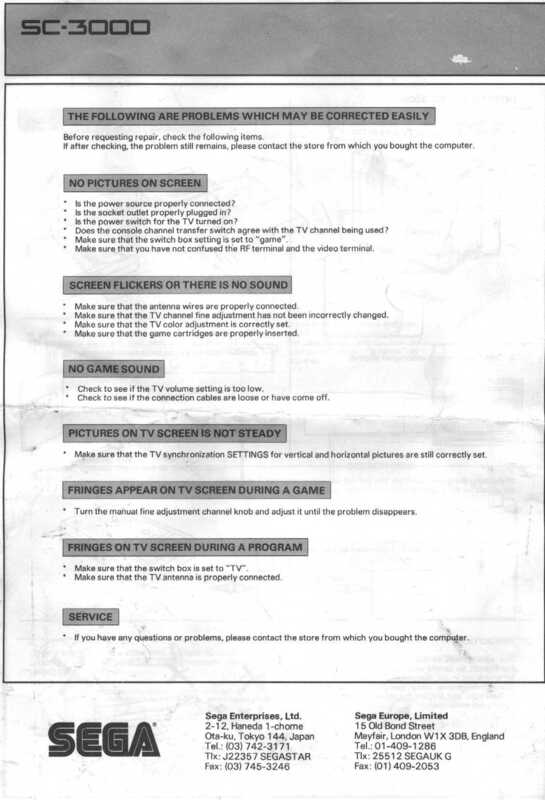 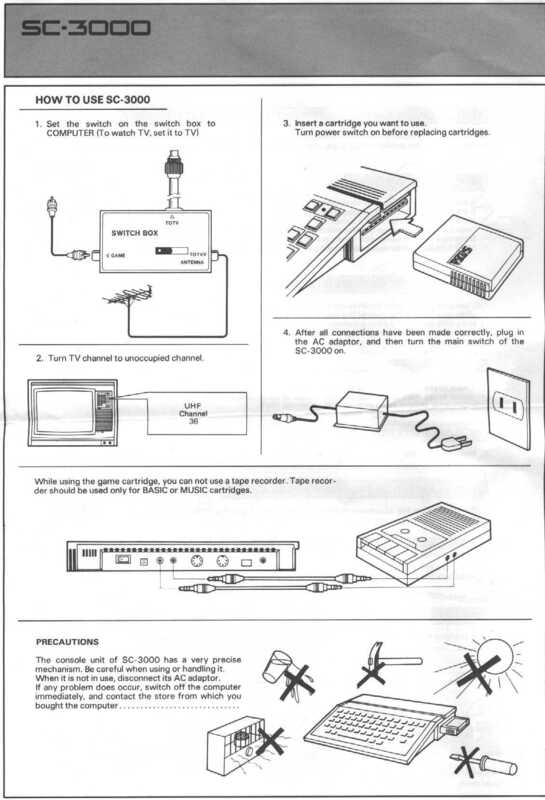 Here you can find scans of the SC-3000 user manual. 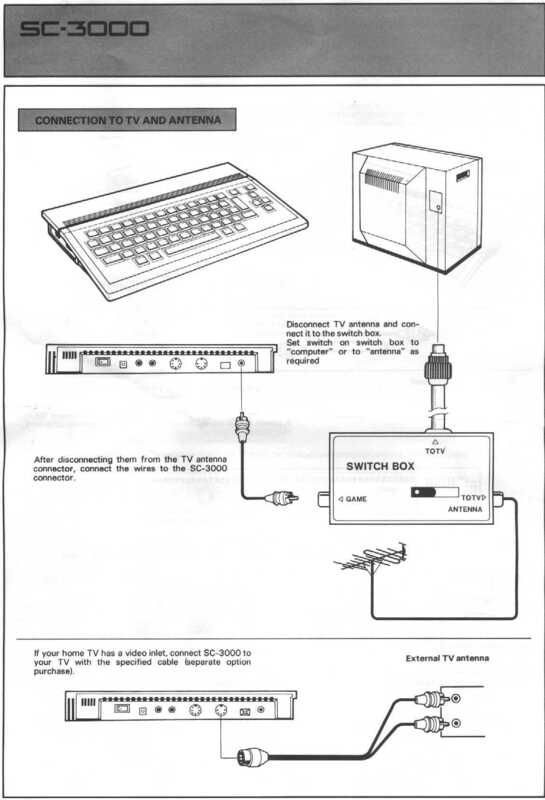 As you will notice the manual was a very very basic manual: only four pages. 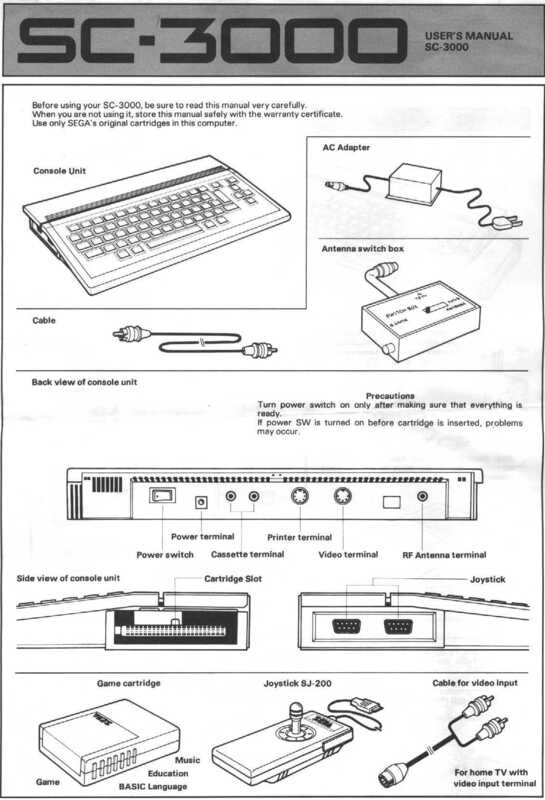 More informations were included in the Basic Level III Manual.